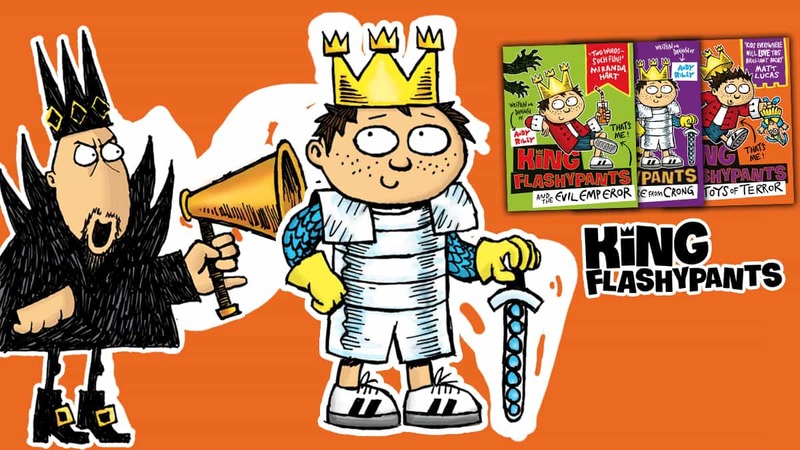 Meet King Edwin and evil Emperor Nurbison from Andy Riley’s King Flashypants series! 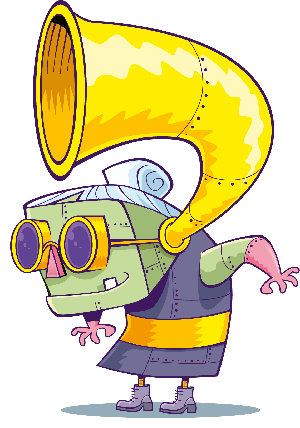 King Flashypants is all about a boy king called Edwin! That’s Emperor Nurbinson, a man so evil that he steals loads of money and wants to claim Edwinland as his own! 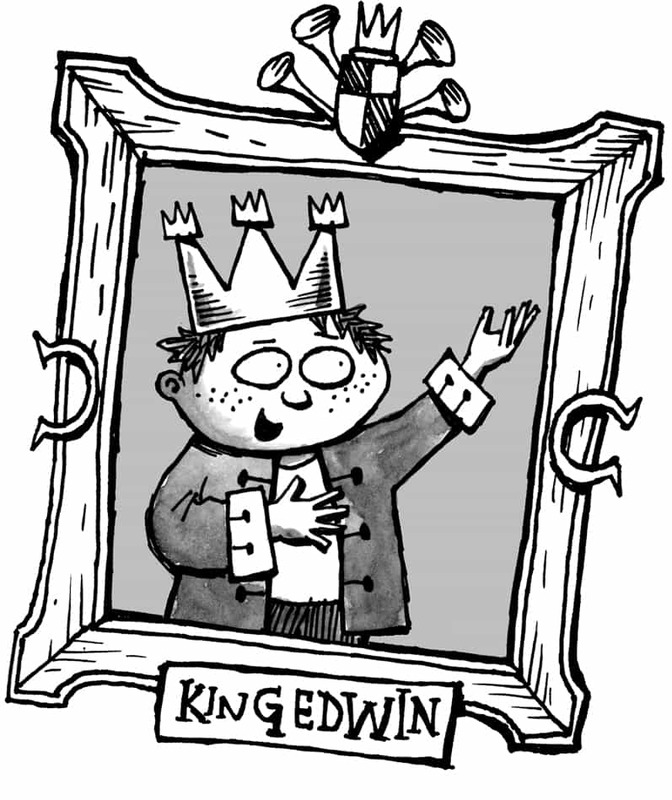 King Edwin wasn’t an ordinary nine-year-old boy. He had a crown, which made him a very special nine-year-old king! Every Friday, King Edwin asks (very politely) for his pocket money before wandering into the only village in Edwinland. As it’s the only village, it’s simply called Village! 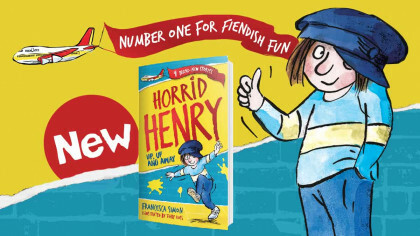 He goes to every sweet shop and buys every chocolate bar with his pocket money and pops them in King Edwin’s Nutritious Nibbles Ejector, Thrower, and Hurler. The machine throws chocolate bars all over Village, which the peasants of Edwinland love! You see, they’re not your normal peasants. Edwin loves his subjects and his subjects love him. 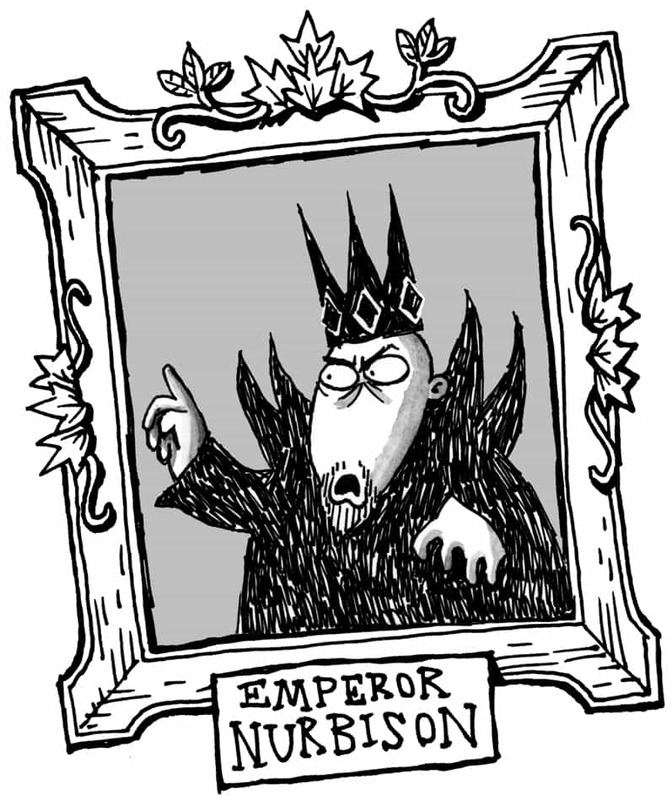 Emperor Nurbison is the evil next-door neighbour of King Edward. He lives in a big scary castle in Nurbisonia with his servant, a podgy man named Globulus. Unlike most other evil bad-guys, Nurbison wanted his own evil laugh. 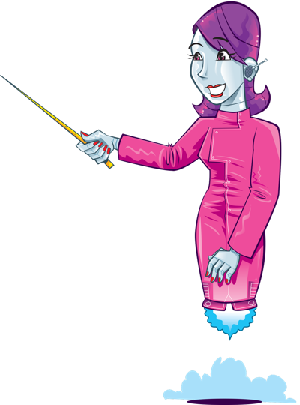 Not “mwhahahaha” or even “bwhahahaha”, both of which have been done before. Instead, he went for “Foo hoo hoo hoo!”, which scares the pants off absolutely everyone. Try it!